Part of the fun of exploring is to simply take risks and try new places. As a result, this isn't necessarily a roundup of the "best restaurants in New Orleans" but rather a tour of ones we enjoyed and know you will too! While this is a modern addition to the New Orleans food scene, it focuses on bringing echos of the classic fish camps in Grand Isle, Louisiana to the modern city. For instance, while many places in New Orleans serve oysters and boast fancy menus requiring white linen table cloths - this is decidedly more laid back. We have a full review coming up, but they nailed it as far as blending traditional cuisine and modern interpretation. For instance, their Shrimp Caminda Poor Boy was unlike any shrimp poor boy that I've had elsewhere in the city. Instead of fried shrimp with tomato and lettuce it features sauted shrimp with slaw, peppers and spicy citrus butter. 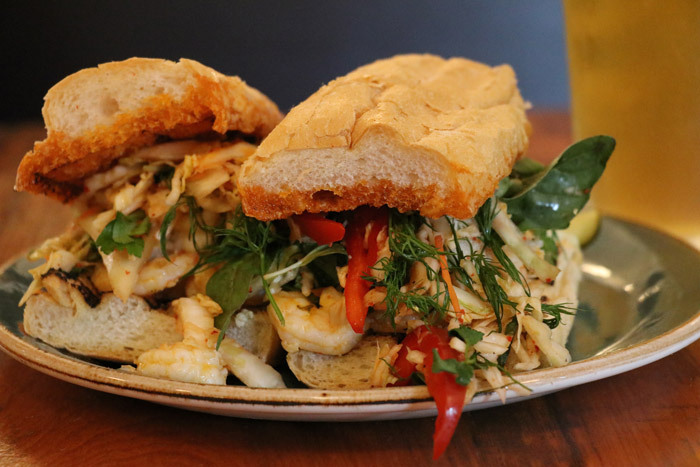 It tastes almost like a huge shrimp bahn mi but it's uniquely New Orleans. It is a perfect example of how the food culture here is able to take a traditional staple and thrust it into the modern foodie scene and succeed with amazing results! Along with great seafood, they have a good cocktail program and local beer list that included Abita and NOLA Brewing as well as Wayward Owl Brewing, who's Family Tree Kristall Weizen we enjoyed. While walking down Bourbon Street enjoying a few daiquiri's, we suddenly realized we'd hit the wall since we had skipped breakfast that morning and stumbled into Remoulade. This is the casual eating side of the more famous Arnaud's and it was one of the highlights of our trip both in terms of cocktails as well as food. 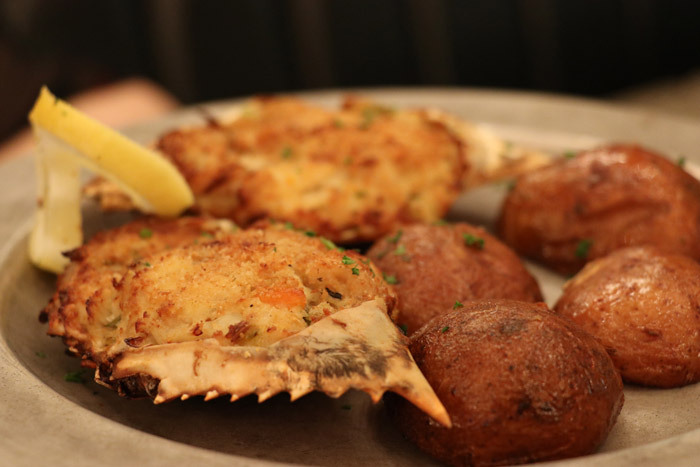 In particular, the Crawfish Pie was outstanding and the stuffed crab was fantastic too. While many places cheat with these type of items by mixing tons of bread into the fillings, these were both surprisingly full of meat. On the Crawfish Pie (think of a large empenada), the pastry was perfectly crispy without being even slightly greasy and likewise the stuffed crab was perfect too. Instead of beers here, since it's Bourbon Street we decided to walk through their cocktail menu. 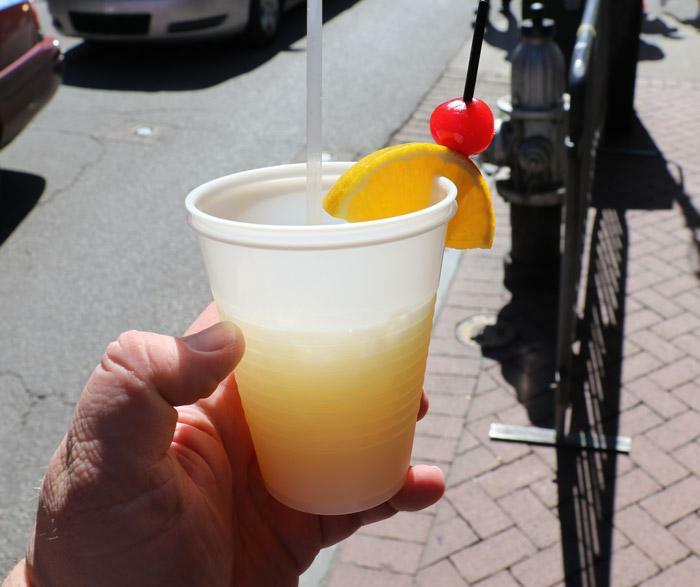 In addition to shooters, there were delicious "Bayou Potions" such as Swamp Water, Hurricane, and Cypress Scream as well as classic New Orleans cocktails such as Planter's Punch, Pimm's Cup and Sazerac. Everything we tried was prepared perfectly and was nice and strong. Even better is that they were able to pour the rest of my drink into a "Go Cup" ... after all, what would you expect since we're on Bourbon Street! Over 100 years ago, Pascal's Manale opened on Napoleon Avenue and quickly become a New Orleans tradition. 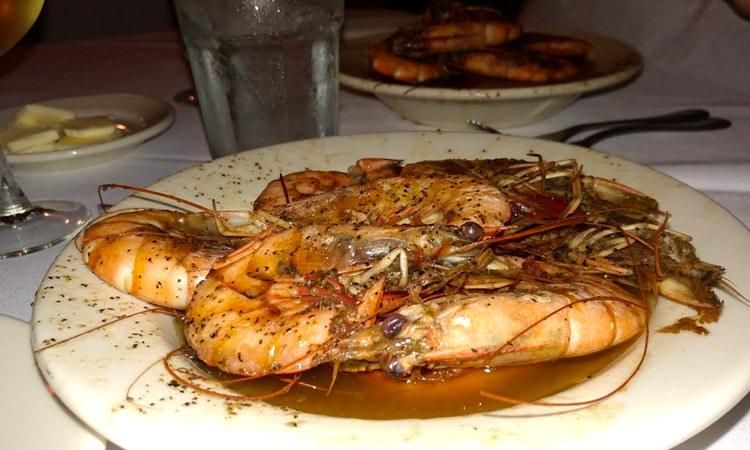 It has also made it's mark on the global food scene as being the original home of "BBQ Shrimp"! In addition to BBQ Shrimp, the menu features Italian favorites, steaks, New Orleans traditional items and seafood. Notably, guests will also see a DIXIE sign hanging over the front door since it's bar was first installed - and exclusively served - beer from Dixie Brewing in 1913. However, it now has a fantastic wine and bar list but still serves Dixie among other brands. We've visited here a few times and had better experiences than we did this time, but it still merits a visit since it's the perfect jumping off point for spending an afternoon walking through the French Quarter. 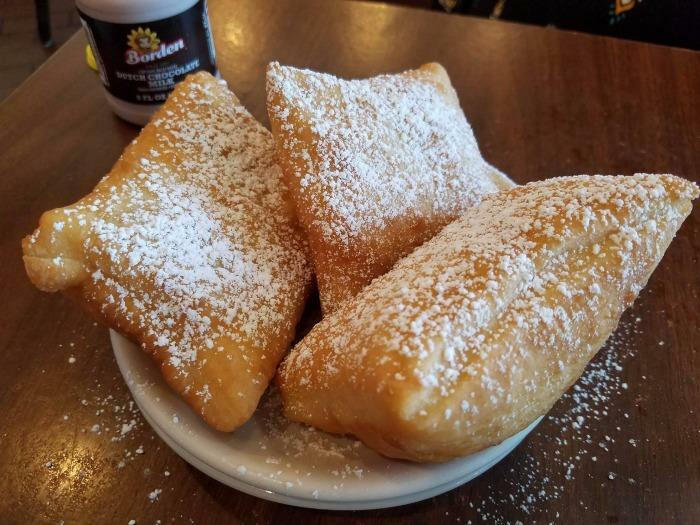 Seven days a week, the Court of Two Sisters offers a Jazz Brunch that features a wide selection of New Orleans classics such as fresh shrimp, red beans, gumbo, shrimp etouffee, crawfish louise, jambalaya, and of course their famous turtle soup. It has a fantastic outdoor courtyard seating area where you can enjoy a jazz trio while planning out the rest of your day. 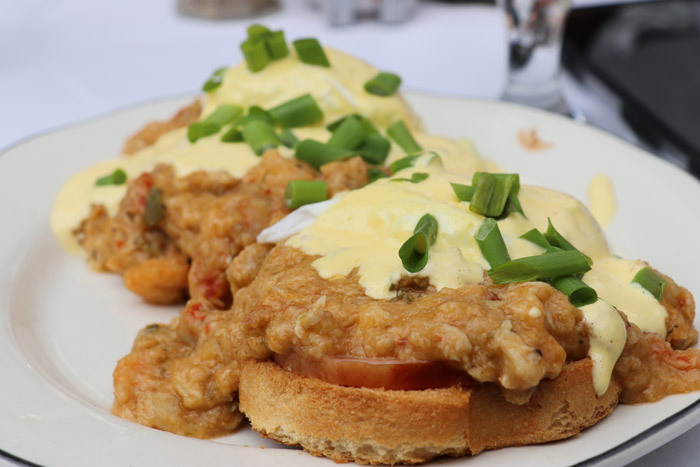 One of the highlights of our visit was the seafood eggs benedict where they poured a mixture of shrimp, crawfish and crab over the traditional egg dish. What happens when you mix Creole traditions with Tex-Mex cuisine and mix it all up with a bit of rock and roll? Well, when you visit Jaun's Flying Burrito you're going to find out. One of the best parts of this place is that they have a great local beer selection with waiters who know their stuff. In many areas of the country, "local" is virtually synonymous with regional ... or at least county. Unquestionably, Abita is the most famous "New Orleans" beer but during the discussion with our waiter they were referred to as not really local as he encouraged me to try one from a new brewery just down the street. Even though Abita is only a 10 minute drive down the road. This just goes to show how fiercely New Orleans protects their own neighborhoods and I love that. I chose the "Flying Enchiladas" with their signature combo of steak, chicken, and shrimp and I enjoyed every bite! 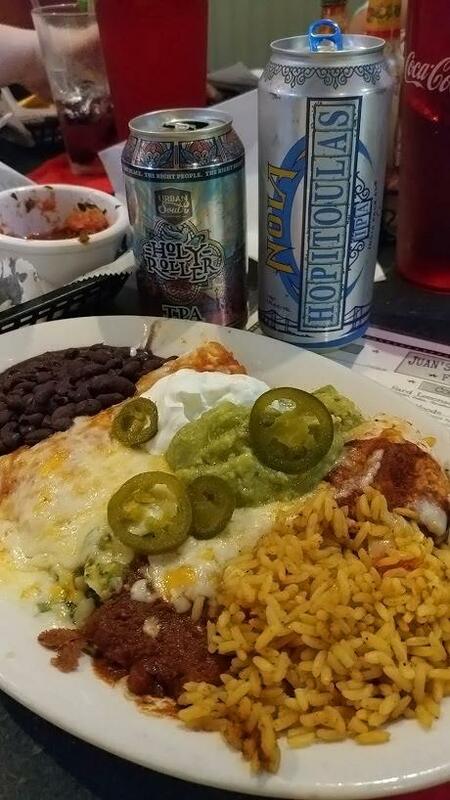 They also went perfectly with Holy Roller IPA from Urban South Brewery, as well as Hopitoulas IPA from NOLA Brewery. Both beers were very good, but I preferred Holy Roller as it was a bit hoppier with an IBU of 60 vs 48. However, at only $3.25 for Holy Roller and $5 for a 16oz can they were surprisingly affordable and so you should try both! When it comes to chicory coffee and beignets, most people only venture to Cafe du Monde. However, Morning Call Coffee Stand deserves a shout out as well for being a New Orleans destination for more than 140 years and being originally located on Decatur Street in at the French Market ... just like Cafe du Monde. Like other famous food rivalries such as Pats and Genos in Phily and American vs Laffayette in Detroit, this is one that comes down to personal choice. We generally prefer Cafe du Monde but I ALWAYS encourage people to explore since you'll never know unless you try something new! I always like to ask other people in the hospitality industry where they like to go since they tend to have strong opinions and know the REALLY good places. So when a couple people suggested that we visit Parkway Bakery and Tavern I figured it was worth a visit. (and it was!) They've been serving poor boys here for more than 100 years, since it first opened in 1911. It's clear that they've had time to practice since these were some of the best poor boy's that I ever had and they put some other places that advertise that they have "New Orleans' Best Po-Boys" to shame. Even though, honestly we've had a lot of great sandwhiches in this city. The menu here is pretty straight forward with everything being based around variations on the classic poor boy. 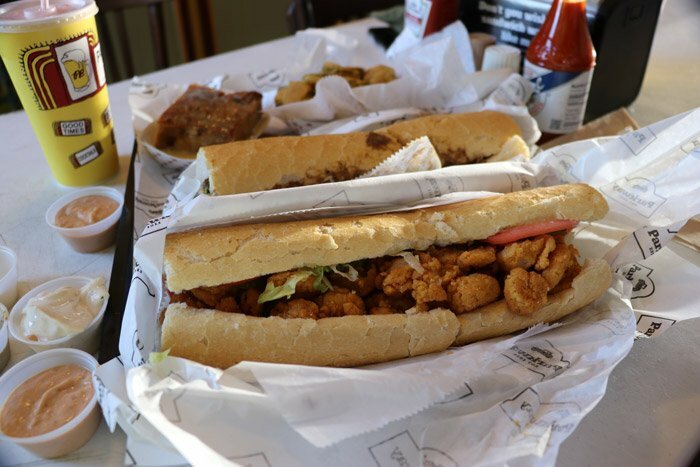 We tried the fried shrimp as well as hot roast beef with gravy, but you could also have a hamburger, grilled ham, oyster, alligator sausage, or even one with just lettuce and tomato if that's your style. Both of our poor boy's were fantastic ... even though the hot roast beef was ridiculously messy. It was really unlike anything that I was expecting. Instead of being sliced lunch meat or super thin shaved beef like a Chicago-style beef sandwich, it was almost like extraordinarily tender spare ribs were shredded and mixed with gravy to the point where the bun almost dissolved upon lifting it. Definitely the type of item that is worth ordering ... as long as you have extra napkins!